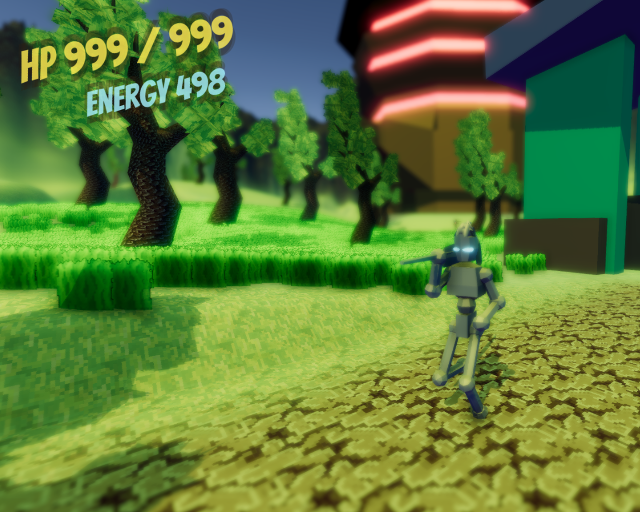 It's like dark souls but made from scratch during Ludum Dare. Also with robots because they are easier to model quickly. Instructions on how to play are in the game. A lot of planned features were cut, because after who knows how many jams I still can't contain my scope creep. Sorry about the lack of audio. I'm just happy I got a lot of the core mechanics in place in the span of the JAM. The animations gave me a major headache, but I think it looks alright all things considered. Hope you all enjoy! I do plan on finishing some stuff up on this post Jam! Unzip and run the exe!